Duane Tribune is a multi-instrumentalist whose primary instrument is guitar. His abilities have given him the opportunity to be exposed to and play many styles of music. Duane’s music journey began as a little boy who was fascinated with musical instruments. He began to experiment with various instruments while in school. One day a friend introduced him to the guitar and from that day forward, Duane knew he had found the instrument that would help him fulfill his musical desires. Duane started playing guitar semi-professionally at 13 years old, has traveled across the country as a full-time guitarist with various bands and has also worked as a session musician. He also is an in demand side man playing with various artists in the industry such as Brian Simpson, Jackiem Joyner, Tom Braxton, U-NAM, Jeff Lorber, Ollie Silk, Nick Colionne, Marion Meadows, and many others. 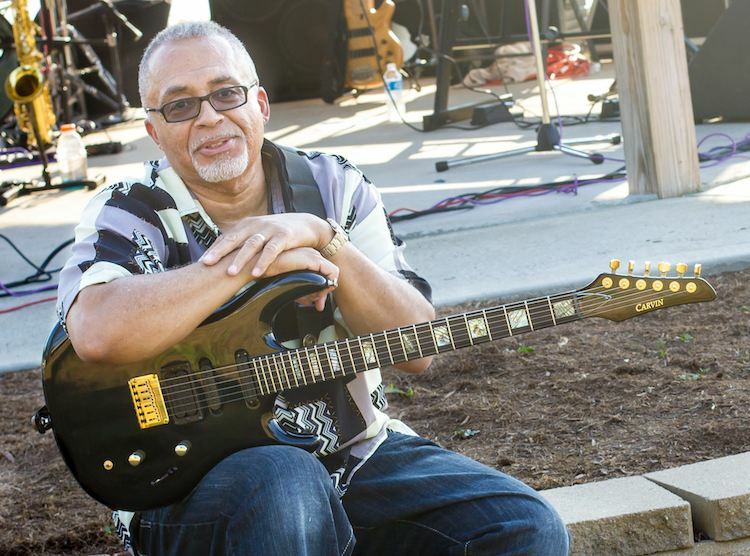 Currently, Duane is also the guitarist with the nationally recognized Smooth Jazz group, ‘Urban Jazz Coalition’ (www.urbanjazzcoalition.net). Duane has always been fascinated with bands. “One of my favorite bands is the Rippingtons. Whenever they are in town I always go to see them. I like the interplay between the horns and the guitar”. He also counts Spyro Gyra and Steely Dan among his favorites. Duane has been influenced by many of the major guitarists of the day to include Chuck Loeb, Lee Ritenour, Pat Metheny, Larry Carlton, Earl Klugh, Walter Becker, Jon Herrington, and Peter White. One can certainly hear these influences in his playing. His studio experiences have given him the opportunity to function as a producer and engineer. He currently operates a production facility from his home in Columbus Ohio. Duane also has a publishing/production company, Faith Movement Music, and is affiliated with BMI as a publisher and a writer. He is also an accomplished writer and arranger who writes, arranges, plays all the instruments, records and produces all his own material. “I got this nickname from a local group I used to play in that had the same name. A few years ago people just started calling me that because they knew me from that time period in my life and it just kind of stuck”. Duane defines success as being able to achieve some personal satisfaction with what you are able to do. “It doesn’t always equate to something financially, although that is nice, but I believe you have to set a standard of excellence for yourself and hold yourself to that standard. You have to be the kind of musician that is confident, dependable, and an impact player, no matter what the musical situation. Then you can feel like you are success at what you are doing”. Duane states his long term goal has always been to be in musical situations that please the listener and to be a professional.